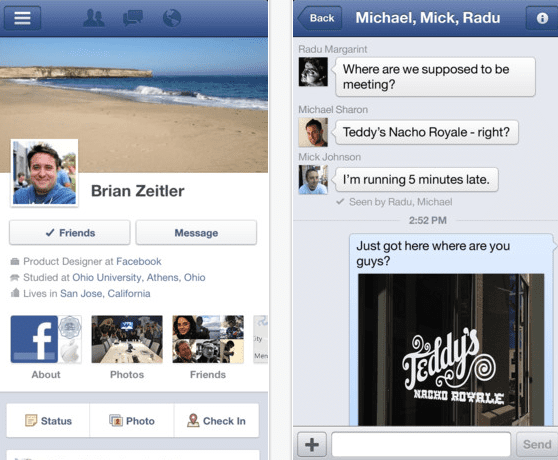 Recently, the social network Facebook launched an update to its iOS app with many new features. Well, the new version 5.2 has not been long in coming and also comes loaded with improvements to facilitate user navigation, help you set your preferences and offer greater social interaction with the platform. For example, with the previous update, Facebook for some reason forgot to include the option to sort our News Feed. From now on we can rearrange our feed in chronological order or we can set it to display only those that are most prominent. This option is found by clicking on the icon on the menu next to 'News Feed'. In addition, the new version allows us to introduce all sorts of emoticons in messages and can tag any friend directly in a comment. You can find this update in the App Store in your country. Article Facebook gets a new update has been originally published in News iPhone .